Fresh sushi, made in front of you? Really? Have you felt the twinge of envy when the rumor goes around about what’s on the menu at Google this week? Have you thought, “If we do that, then we’ll have ‘enviable culture’ too?” Would Nap Pods make all the difference? Have you wondered if culture really is all about perks, or if there’s something more important? According to Deloitte Global Human and Capital Trends 2015, ‘Culture and Engagement’ is the highest priority on the corporate agenda. It’s well documented that the strongest cultures attract and keep talented people, with predictable results for the bottom line. Sturdy cultures get stronger, and conflicted ones, weaker. Yet the gap between how important culture is, and how ready we are to make it that way, continues to widen year on year, according to Deloitte. 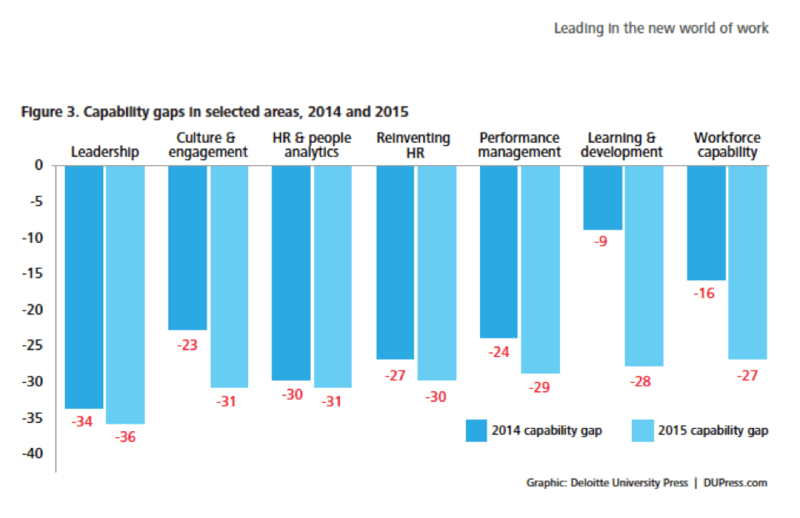 Why is the culture and engagement capability gap growing? A piece of foundational philosophy needs to be added – or in some cases, replaced. Philosophically, these statistics suggest that many corporates are becoming unwittingly hamstrung. They’re used to solving things and operating things and measuring things, in terms of ‘I’. If it worked back in the day (or was more easily hidden behind corporate structure and hierarchy), it doesn’t work now in this age of transparency and connected-ness. This is why culture is now top of the agenda: it’s governed by a different rule. Culture depends on motive towards other people. Other people matter, and they need to matter more. You don’t just have to show you care. You don’t just have to say you care. You have to want to care, in order to bridge the capability gap. What destroys our cultural efforts? Culture is about relationships; it’s what happens between people. It’s not about ‘I’, and it cannot be ‘solved’ with ‘I’ thinking about ‘I’. Yet most of our performance measurements are in terms of ‘I’, or ‘things’. This is what derails many cultural initiatives. We think we’re about people, but we’re mostly about things – and we don’t like that. In fact, we lie to ourselves about it. Motives change the second we attempt to measure them. Culture is a motive barometer. When people are objectified, culture turns sour. Objectification devours strong cultures – and it’s catching. People are not ‘things’ that get in our way. People are not problems to be solved. People are not tools to be used. People are people, each equally important. When we see this, we are wholehearted towards them, and our results reflect that motive. We think in terms of ‘Us’. When people are objects to us, we think in terms of ‘me’, and our actions and results reflect that motive. No wonder ‘engagement’ is so difficult to pin down. Trusting relationships depend on motive. No wonder leadership is turning inside out; influence depends on motive too. Cultural change requires a fundamental commitment to a philosophy of ‘us’ rather than ‘me’. Out with the old thinking about people. This is the age of transparency and connectedness. Our challenge is to actually care, not just make it look like we do. Truth 1: We are all in charge, and we’re all in charge of culture. It’s about time, and it’s good. It’s simple (people are people) but not easy (which is why the capability gap is growing). Truth 2: Culture isn’t just important for results – it IS the result. Performance comes after. Truth 3: Culture doesn’t like being measured (although it is forgiving). Culture does not necessarily comply with ‘cultural goals’ and ‘cultural strategies’, because it is exists between people. Truth 4: Culture sees through selfish motives (although it tries to retain trust, because people are human, and we humans long to trust). Truth 5: Culture can’t be faked. Fakery is like a cold draught, causing goodwill to collapse and suspicion to solidify. A sham culture strategy sets one step forward, then several back. Truth 6: Culture can be helped by ‘good cultural behaviors’, but these are no guarantee. If we think we can control culture with behavioral strategies alone, then we’re likely to discover we’re wrong in various expensive ways. Truth 7: Culture can’t do half-heartedness, however understandable it is. It needs courageous, wholehearted people. Truth 8: Corporate failure is different now. Failure is a failure to connect with each other wholeheartedly. Corporate success requires the whole heart; the structures that allowed us to hide have gone. How you are towards people IS the crucial ingredient in the cultural recipe. Truth 9: Culture is ambushed by the intellectual and the expert. Being an expert is absolutely no guarantee of genuine connection. I’m an expert at coaching, relationships, influence, but … I can run an enlightened corporate leadership seminar, connecting all day, being marvelous (why not?!) and yet find myself at war with other drivers as I hurtle home. Advertising ‘the right way’ is a beginning, but it is not the end result – just as reading this post might be motivating, but it’s not the outcome (yet). Culture needs to be expounded, not advertised. To lean on (a rather overworked) Gandhi, we need to ‘be the change we want to see in the world’. Truth 10: Culture is easier said than done. Heck, we’re good at knowing what to do. The next bit’s more tricky though, isn’t it? It requires constant personal risk. Vulnerability. The possibility of being changed by someone else. People who are courageous enough to be open, vulnerable and real, harness people together to perform. Defensive, fearful and divisive cultures turn people inward and against the common good. Truth 11: Real, strong culture is challenging and tough: There is no room for moaning, whining, false-victimhood. Being true in relationships requires us to stand our ground. Nothing flimsy here. Backbones are stronger than in the old world of ‘I’, because there is no wriggle room. You’ve got to admit, it’s great news. We’re used to being told that we’ve got to learn new stuff, master behavioral programs, brush up on people skills. But there’s no one magic action that guarantees strong culture. We can pay lip service to good culture – do all the ‘good’ actions – but if we do the right thing for the wrong reason then we do more harm than good. So what matters is who we are doing it for. Are you in your work for ‘me’ or for ‘us’? Magic is automatically present in anything you do, when you’re in it for us. When other people matter to you as much as you do. When they do, your purpose is aligned with theirs. Your motive is transparent. That’s what makes or breaks corporate culture. David Smyth, Director of Swansway Garages, (#21 in the UK) agrees. “Listen to what the feedback tells you, make a plan; then act on it, don’t just talk about it. Allow yourself and your decisions to be changed by what other people need. It’s easy to say, but feels like a big risk. &samhound, the Dutch consulting company (#5 in Europe), hold their top leaders meetings in a ‘fishbowl’ setting, surrounded by most of the companies 100+ employees. Everyone gives their opinion on strategy and other key issues. Credit Acceptance of Michigan (#37 in the USA) sets transparency standards in the finance sector. People who genuinely care stand out as an inspiration. Become such a cultural ambassador by quietly leading and recognizing others who want good change. Employees at NetApp, (#1 Multinational in Europe, #35 in the USA), lead their own Guiding Coalition to speak out, lead and provide feedback, going beyond their work responsibilities to reinforce cultural values. Likewise as Chris Oglethorpe from Wragge Lawrence Graham in the UK stresses, “A great workplace doesn’t just happen – it has to be worked at and maintained”. Culture takes a dive when we wait for other people to change. It becomes a culture of victimhood. People problems are escalated to management to solve, wasting time and resources and putting pressure on leadership. Now that structures are more flexible, we must lead the change ourselves through responsibility in our relationships. “Create a culture of ownership and give permission; many issues can be resolved by the teams”, says Fiona Roberts, HR Director at Volkswagen. 5. Be someone others can be themselves with. Be human. There is no limit to the diversity of us humans, is there?! Yet we still judge, still objectify, and we still have work to do. Knowing that we’re flawed helps culture to be forgiving. Culture accepts that we can only do our best. It’s human. It does not demand perfection. Theresa McHenry, HR Director at Microsoft, (#5 in Europe) recognizes this need to keep learning from and about each others differences: “We need to continue to focus on creating a diverse experience, rather than a ‘one size fits all’ approach”. It’s easiest to objectify other teams when things go wrong, using them as an excuse for poor performance. Successful teams breed strong cultures by constantly building relationships with all teams. Other teams need to know – and to feel – that you ‘have their back’ – you’ll help them through problems and mind about them as people. Unengaged teams quickly escalate problems and trap organizational resources. Tiffany Lath, VP and General Counsel for Rackspace (#6 in the UK), helps teams strengthen relationships: “Our culture contributes to engagement. Teams work collaboratively to ensure it stays alive and well”. After centuries of embedding organizational pecking orders, we can be forgiven for wanting to make ourselves and our needs more important than other peoples. Happily, power is shifting, bringing with it a challenge for us all. We all now have a greater capacity to influence. Every person’s influence counts more. And our influence depends on how we see other people. It’s a delicious virtuous circle that lays down a moral gauntlet for everyone. Sharing control felt like a risk in the old world, but in this new connected economy, it’s the safest way to be. How to do it? Victor Buzachero of Scripps Health has embedded a Horizontal Management Framework to shift Scripps from silo to system-thinking, to make the workplace better for everyone. “Truly becoming a more democratic workplace is not easy. It requires dedication and a willingness to share power”, says Erik van Reit, Director of Great Place to Work. 9. Stand for yourself, your people and your culture. Most people won’t, because it’s easier not to be responsible. But there will be people making a quiet, sustained push towards a better workplace. “Our team really values the effort that goes into developing our culture”, says MD of Medela UK, (#4 SME, UK) Paul Furlong. 10. Be wholehearted for your people. It’s you that makes the difference to your culture. People cannot ignore wholeheartedness, because of the courage it takes to keep faith in other people. You’re the person I’m talking to. Don’t give up on your workplace culture. Strong cultures are made by people who know their colleagues are the best there are – whoever they are. That’s because genuinely strong people invite strength in other people. Trust and wholeheartedness are the substantial challenge strong people lay down. Accepting this challenge as an equal is what makes you one of the ‘best’ people. You step across the line between weak and strong culture when you are able to give people agency – power and responsibility for their own motives. The secret to an invincible culture? The statistics are only stating the obvious. We’re all human, and we’re in relationships forever, whether we like it or not. It’s just easier to see now. We’ve got the tools to measure, and we’re paying attention in a new way. Corporate performance depends on it. Our cultures continue to deliver faithfully on motives in relationships. I or I-Thou, said Martin Buber.